The following older models are available until current stocks run out! 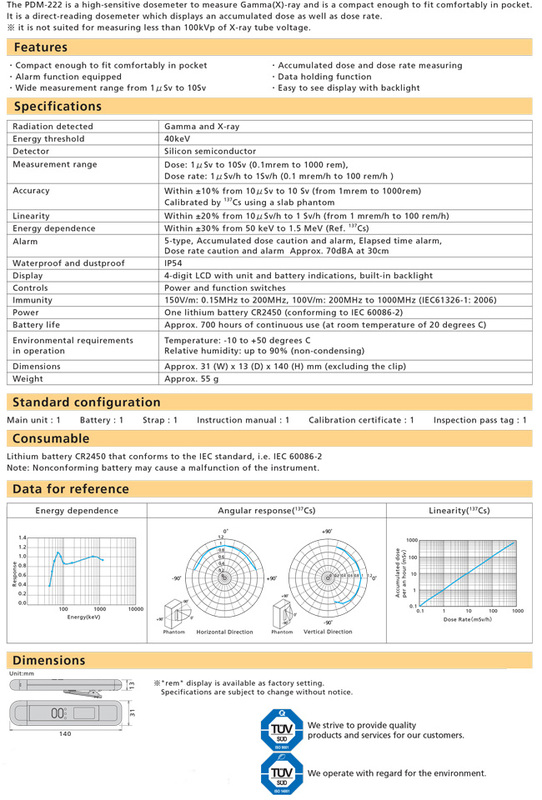 For neutron dosimetry, monitoring both thermal and fast neutrons, with the continuous display of dose from 0.01-99.99mSv. 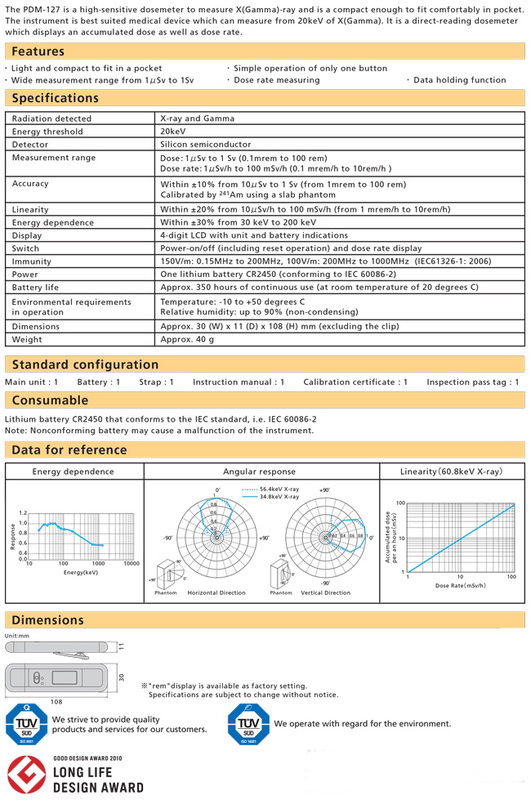 The PDM-313 is particularly suitable for use around accelerators, and both experimental and fully operational reactors. This instrument provides a large 4-digit continuous display of accumulated dose that is retained even if the power is turned off. Its smooth case measures 145x30x12mm and weighs only 70g. 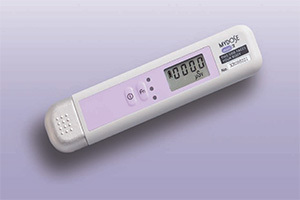 Aloka has been a pioneer of radiation measurement for over 50 years. 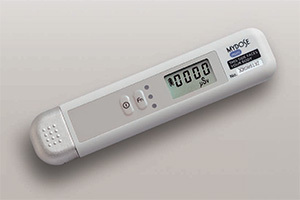 Its radiation measuring instruments are used extensively for measurement, analysis, and safety in the fields of medical care, nuclear power generation, biochemistry, pharmacy, and others. 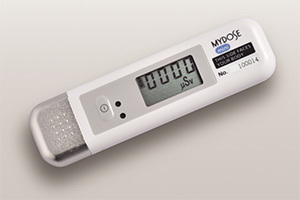 MyDose Mini electronic pocket dosimeters have always been precision-engineered for safety and reliability to the highest standards. Now they have been upgraded once again to offer even more features in a smaller and lighter package. * The accumulated dose is stored even when turned off. * Immunity to high electric fields of 150 V/m or more. * Simple one switch operation. 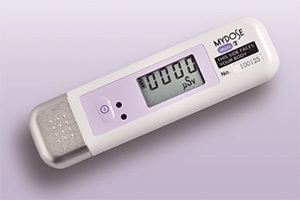 * Large 4-digit continuous display of dose in Sv and also doserate in Sv/h. 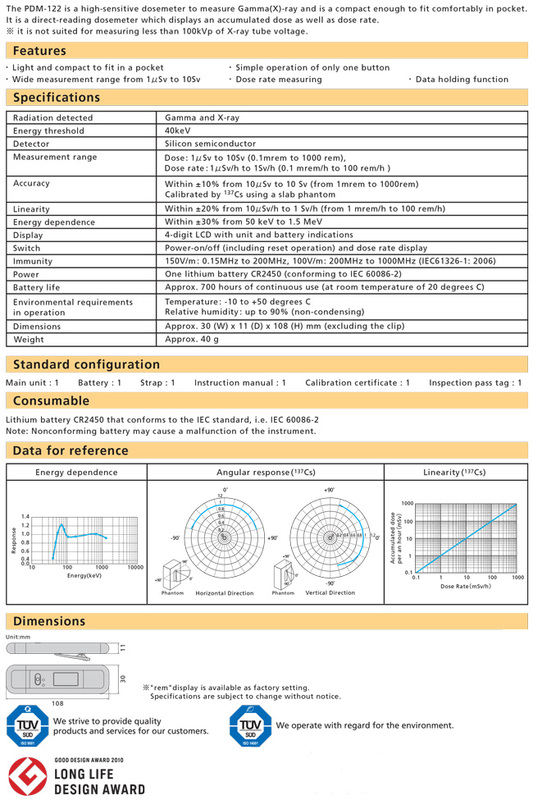 * Standard lithium battery CR2450 provides approx 700 hours of continuous use. * Increased temperature durability (-10 to +50 degrees C). * Includes neck strap and pocket clip.